Visiting towns located more than 50kms from a service centre, the Mobile Service Centre offers a wide range of services to meet the community’s needs. Scott Walcot, Manager of the Golden Wattle’s Tasmanian trip, said there’s nothing they can’t do. “Medicare transfers are popular because parents can bring their teens in to get their own card,” Scott explained. 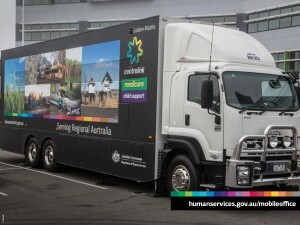 “We also give out information about the types of assistance the department offers, and collaborate with representatives on board from the Australian Tax Office, Births, Deaths & Marriages and Hearing Australia, among others. “We also had a social worker on board for most of this trip, so the support available to our customers is the same as when they visit a normal service centre. Scott has one rule he lives by when managing Mobile Service Centre trips. So how do they choose which towns to visit? 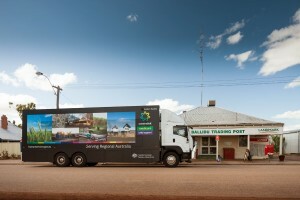 Before the Mobile Service Centre arrives in town, local organisations and schools are contacted to raise awareness of the visit and to pass on information about the services offered on board. “Working on board the Mobile Service Centre means I get to meet a huge variety of people from all over Australia”, says Scott. 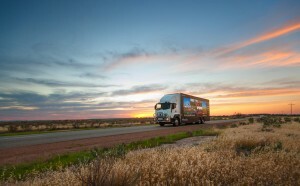 “In Tasmania, we travelled around the whole state, visiting 27 different communities. 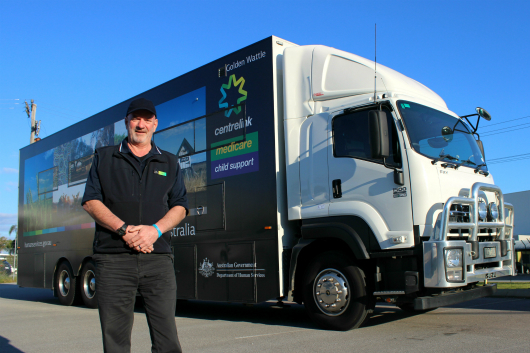 Ian Cleghorn was the Mobile Service Centre driver for the Tasmania trip. “Travelling to Tasmania is different to going anywhere else in Australia, because it involves a 10-hour ferry ride on the Spirit of Tasmania to get here!,” Ian explained. Ian says the most rewarding part of his job is providing people with access to services that wouldn’t be available to them otherwise. 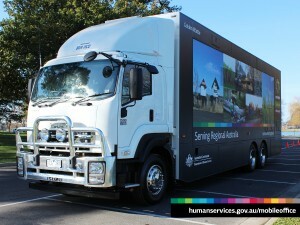 Read more about our Mobile Service Centres and their upcoming visits here.